Fascinate Architects have selected BuildTrack Hotel Automation solution for one of its restaurant projects in Navi Mumbai. The automation solution by BuildTrack offers a broad range of options for enhancing the comfort, convenience and safety of restaurants or hotels. 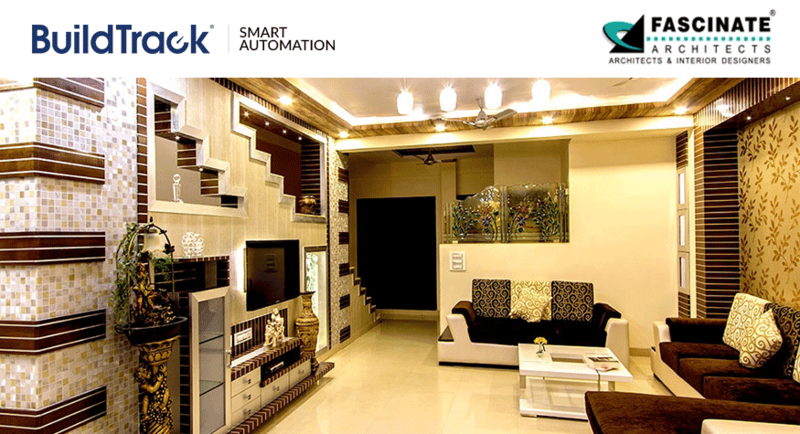 This project in Navi Mumbai has opted for a smart tablet based operation of all lighting, fans, ACs and curtains inside the guest room. Wireless motion sensors are also being considered for washrooms and passages enabling energy savings to reduce electricity bills without reducing guest conveniences and experience. Fascinate Architects is a multi-disciplinary firm offering Architectural and interior design consultancy in Navi Mumbai. They are led by Arif H. Punjabi & Shafique A. Bhatkar, both well accomplished designers under the guidence of Architect Hafeez Contractor. The Firm has in a very short period executed a wide range of projects in and around Mumbai, Navi-Mumbai, Gujarat, Indore & Goa. Their projects include Hotels, Hospitals, Cinema House, Bungalows, Residential Complex, Office Interiors & Residential Interior and Landscape Designing.